Background/Info: Behind this new dark sonic project is hiding Swedish artist Pär Boström. He got some recognition for his work as Kammarheit, Cities Last Broadcast and Altarmang. Bonini Bulga is a new and more minimal-like project. The album “Sealed” was originally released in 2017 on Hypnagoga Press on cassette. Cyclic Law has now released the album on CD format. Content: “Sealed” clearly sounds more minimal-minded than other projects Boström is involved with. 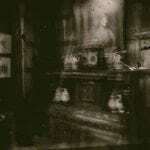 It comes close to soundtrack compositions and mainly reflect the effect and impact of a few single sound. Both last pieces are a little bit more elaborated. 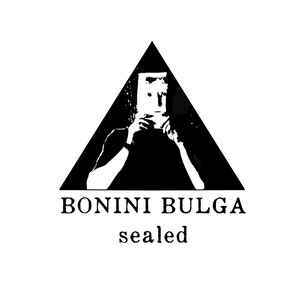 + + + : Bonini Bulga is not exactly the kind of project I’ll become totally fascinated with. “Sealed” is an album you have to discover in the right circumstances. It also has a strong visual appeal so I can imagine a better impact listening to “Sealed” with some visual content on top. Both last tracks are definitely more exciting revealing mysterious sound atmospheres. 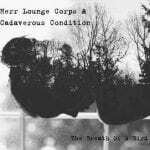 – – – : There’s less happening when listening to this album. It’s more the kind of work you have to discover when taking the time for it, sitting in a sofa, dimming the lights and only focusing on the music. I get the impression I was waiting for an apotheosis, which unfortunately never came. Conclusion: I like most projects Pär Boström is involved with and I even share a great fascination for the Kammarheit stuff. Unfortunately I wasn’t convinced at all by this debut of Bonini Bulga. Best songs: “Becoming”, “Sealed As One”.